This is a really clever marketing campaign by Molston. Watch confused passersby who try to open the fridge! Creativity can turn a boring lift in a clever communications channel. The ultimate app for sharing everything! Wouldn’t it be great if there was an app that could share everything? Now that app is here & it’s called t’s called Jotly. A bus shelter is a great media choice given its strong relationship with loyal Vodka consumers. 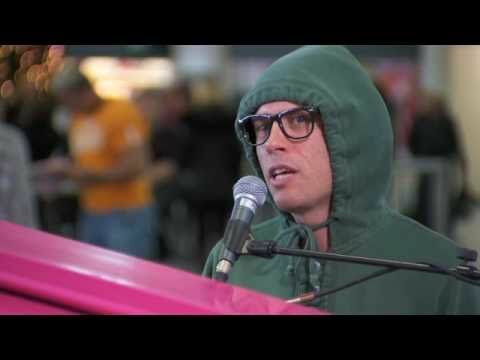 The T-mobile campaign is based in Gatwick airport and features Merton playing improvised personalised songs for people leaving the airport. Looking forward to seeing more of it.